A new trail connection is now open between 7th Street S. and the Washington & Old Dominion Trail. The new access point in Barcroft was open as of Monday, per a photo submitted to ARLnow’s Flickr Pool. 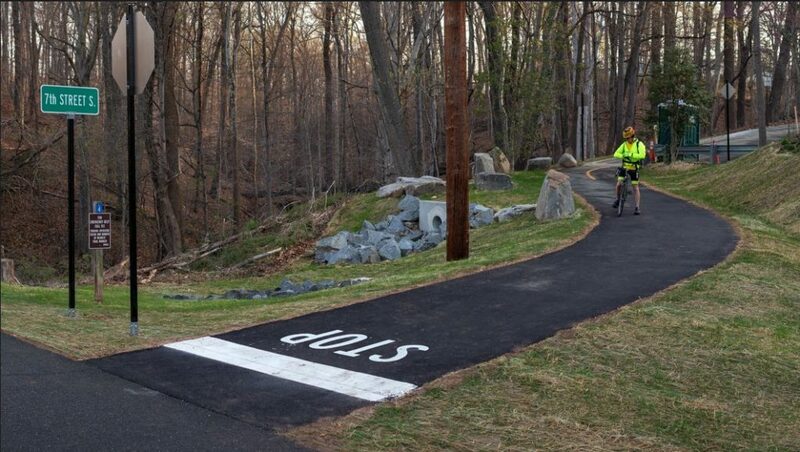 The eight-foot-wide trail connection is paved and comes with new signs and striping at both ends, according a county update on the construction which began this winter. The Barcroft School and Civic League gave its stamp of approval to the trail connection’s design in February. The design was originally drafted in 2013, per plans posted on the county’s website. Parts of Four Mile Run and W&OD trails were also under construction in February after the county said emergency repairs were needed to stop the stream from eroding.